Clearcut Logging | Welcome to SVENA! On November 14, 2018 10 am DNR auctioned CORNER TWO TIMBER SALE. Unit 1 of this timber sale is an old forest next to busy Hwy 2. Please see the map below. This forest was looking for a buyer who can save it. This timber sale is on the county land. Unit 1 has a potential to become a county park with your name on it. Full Map, Unit 1 Map, FPA# 2816522, Timber Notice of Sale. Constitution” requires logging of special places like the park expansion forest to the east of the Wallace Falls State Park. DNR’s management of the COUNTY forest lands are NOT constitutionally-based. They are statutorily based and DNR is permitted to do what’s in THE BEST INTEREST OF THE STATE. DNR should stop justifying its aggressive timber program behind feigned trust responsibilities. The constitutionally-based K-12 school lands are admittedly different because they are constitutionally-based but, with respect to them, DNR is also wrong that these are private trusts that require DNR to maximize its income from these lands. These trusts are public trusts, not private trusts. DNR under Hilary Franz’s leadership needs to grapple with the century-old misplaced policy of logging our public lands hard based on fabricated legal justification.” Peter Goldman, Washington Forest Law Center. RCW 79.22.050 Sales and leases of timber, timberland, or products thereon. Except as provided in RCW 79.22.060, all land, acquired or designated by the department as state forestland, shall be forever reserved from sale, but the valuable materials thereon may be sold or the land may be leased in the same manner and for the same purposes as is authorized for state lands if the department finds such sale or lease to be in THE BEST INTERESTS OF THE STATE and approves the terms and conditions thereof. In the event that the department sells logs using the contract harvesting process described in RCW 79.15.500 through 79.15.530, the moneys received subject to this section are the net proceeds from the contract harvesting sale. Public land that is used for tourism and recreation can not be brown. Instead of clearcutting of old forests, there is an urgent need for more recreational infrastructure in the area of Wallace Falls State Park that can relieve the overcrowded park (which brings 170.000 annual visitors), and also for support of local small rec and tourism businesses. Every single business in the Skykomish River Valley benefits directly or indirectly from tourism and recreation. 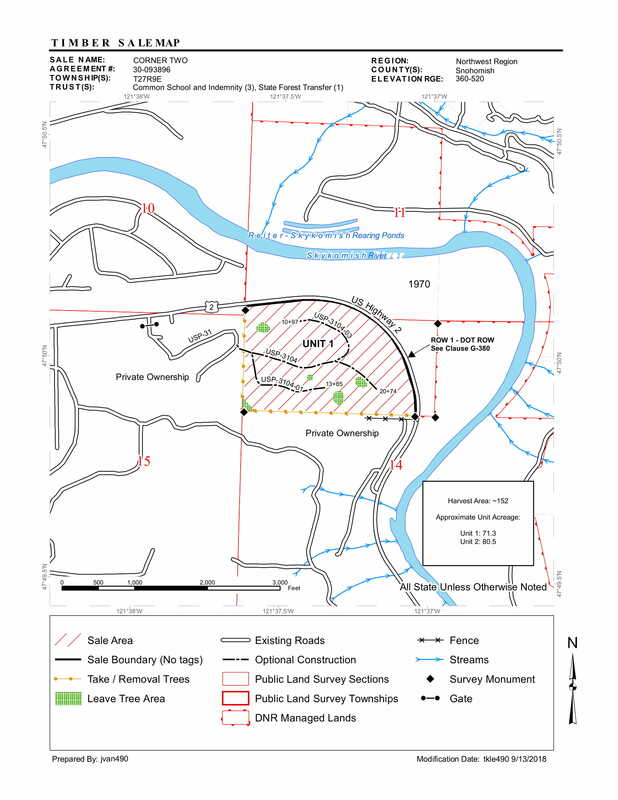 Requesting that the Singletary Timber Sale be postponed while Snohomish County initiates reconveyance proceedings for a portion of the sale area. Snohomish County to Protect Singletary Property to Secure Vital Recreation Land. Twenty-five acres involved in Wallace Falls compromise are included. SVENA is lobbying for expansion of famous and popular Wallace Falls State Park (WFSP), and for conservation and restoration of area around the Park that is important for the tourism and recreation industry of Skykomish River Valley, Snohomish County and Washington State. A large part of Morning Star NRCA includes a watershed of Spada Lake – a highly protected municipal water supply, one of the principal drinking-water sources for Snohomish County’s population, as well as a source of hydroelectric power and recreation. SVENA opposes to clearcut logging next to Wallace Falls State Park (WFSP), one of the most popular hiking destinations in Washington State. On average, it has 175 thousand visitors annually. Please read our petition at Change.org “Stop Excessive Commertial Logging in Sky Valley, WA!”. Washington State Department of Natural Resources (DNR) recently sold two timber sales next to WFSP despite the protests of many people and organizations to stop these timber sales or find other alternatives. Moonbeam and Singletary Timber Sales border WFSP and are a gate to more timber harvesting in the future next to the Park. Both timber sales are on the state land. We are working with WFLC (Washington Forest Law Center) to find ways to stop logging next to Wallace Falls State Park that will greatly impact the Park and the Valley. Please see “Singletary Timber Sale Update” in 1-2016 Profile (publication of Pilchuck Audubon Society). SVENA supports full funding of public education by promoting tourism and rec industry in the Valley, increasing value of real estate, and thus bringing more revenue to the State, County and school districts tax coffins. 100% harm to Wallace Falls State Park, recreation and tourism industry in Snohomish County, health and safety of Skykomish River Valley. For more information, please go to End the DNR Mandate.